Three right to food activists, Vivek, Jean Dreze and a third, arrested in Bishunpura, Garhwa, Jharkhand for organizing meeting. They have been taken to local thana. 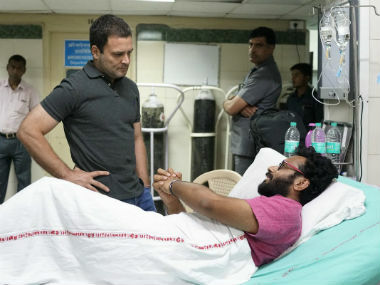 According to sources, several state ministers are trying to “get their sons and daughters into the system” and the Congress president’s direction was aimed at curbing that practice. The Congress chief claimed that Modi had visited Beijing and conducted a dialogue with the Chinese government without any agenda. “The Chinese government realized Mr. 56 inch is not even four inches,” Gandhi said. Apsara Reddy, a transgender journalist and activist has been appointed National General secretary of the women’s wing of the Congress, Mahila Congress. She is the first transgender office bearer of the party. Rahul Gandhi officially took charge as Congress president in a ceremony at the party’s headquarters in New Delhi. 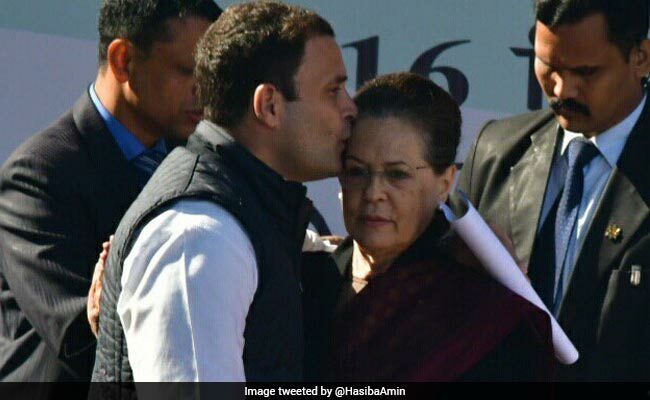 At a ceremony held on the lawns of the party’s 24 Akbar Road headquarters in Delhi, the 47-year-old accepted a certificate for his promotion, watched by Sonia Gandhi and former prime minister Manmohan Singh on the stage.